This is one of my very first sewing projects. Given that fact, I think it turned out pretty well. I had the hardest time sewing the gussets to the front and back panels. The directions say that I should smooth the curves as I go so as to avoid tucks and gathering in the seams. I tried it, but as you can see, there are a lot of tucks and gathers. It still works for my 2.5 year old, so I’m ok with it. Hopefully I’ll figure out how to make smooth gussets on a future project. 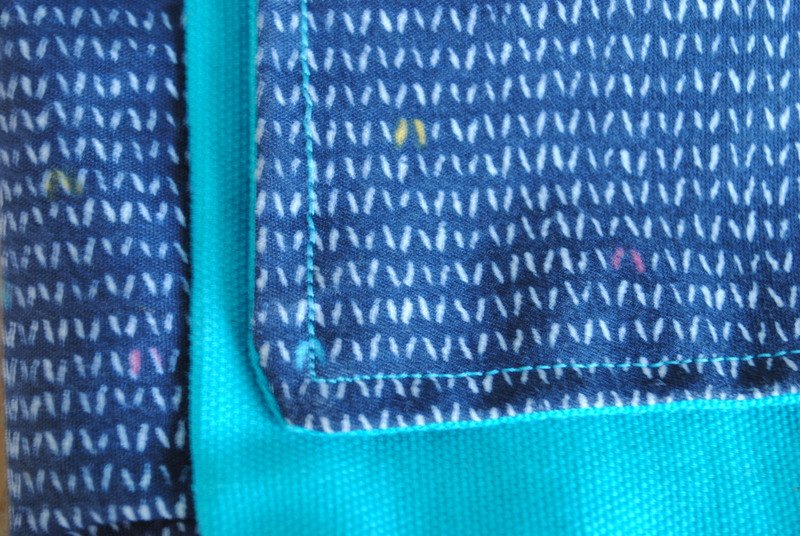 I got the patterned fabric from a shop in Philly’s fabric row. The man who sold it to me said a teenager had just bought some to try to make shoes in a fashion design class. Too cute! I wish I could see those shoes. Next is the Sew Liberated art satchel. I recently made four bandana cowls as gifts. Then I made one for myself. I love this pattern. 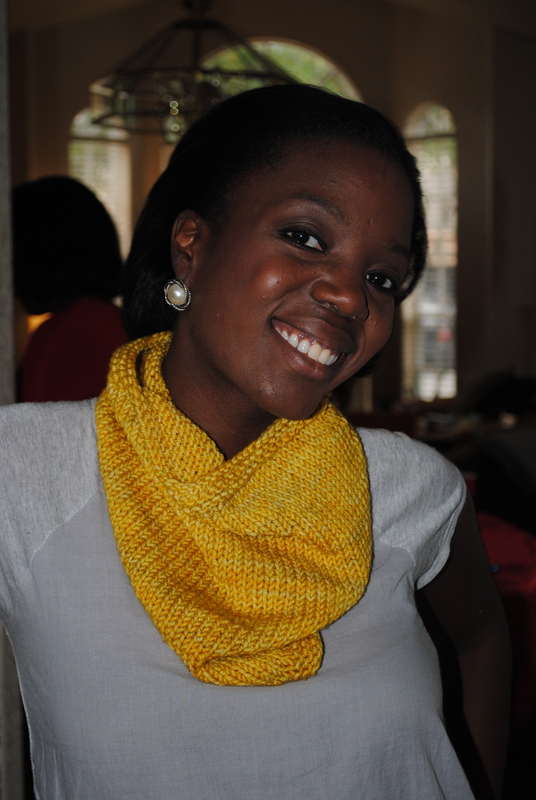 It’s quick and it helped me to get comfortable with short rows. It looks great, too! I used Madelinetosh Vintage. Her yarn is so soft and smooth. I also made one in Chunky, which turned out equally well.